It can be a tricky thing to talk about money with someone you love. Statistics show that couples find it difficult to talk about personal finances because they are always concerned about making things worse. However, it is important to talk about your personal finances and learn how to deal with money arguments to have a long relationship. Let's find out what you can do in this regard. When talking about issues related to money, so many things can go wrong. You have to understand that you are not doing your relationship any good by letting financial problems simmer beneath the surface. Raising questions about the spending habits of your partner can lead to a serious conflict in any relationship. You may be thinking that your partner is a shopaholic and spends everything you earn. While you may want to sweep this issue under the rug, it is important to take an initiative and tackle it with care. Not attending to this problem can lead to frustration and resentment that can affect your relationship in a negative way. To deal with this issue, you need to talk to your partner but be patient. You need to communicate with your partner to learn about their spending triggers. In fact, it is a good idea to sit down together and look for all those situations or triggers that encourage you to spend more money. If your partner has actually developed bad spending habits, you should treat things with care and patience and understand that they have not developed those habits overnight and they certainly cannot change them quickly. A good starting point is to keep track of how much money you spend in a month. You can adjust your budget and ask your partner to stick to it. You do not have to make big cuts in the beginning, but be sure to stick to your budget once you have designed it. Where your partner spends all the money is important for you to know or else you will never be able to learn how to deal with money arguments between couples. Encourage your partner to be honest with you. In fact, both of you needs to understand the importance of being honest in everything you do while being in a relationship. Do not just blame your partner for spending too much money; in fact, you should share your financial condition with them as well. For instance, you can share your credit card and bank statements to help your partner get a better idea about your spending habits. Your conversation will end in an argument if one of you does not understand the importance of being honest. Dishonesty will make it difficult to come up with a solution. Once your partner acknowledges the fact that they have been spending money unnecessarily, it will be easier for them to find a better solution to the problem. It is true that you should understand the importance of saving money and keeping something aside to sail through tough times, but many couples have serious fights about the spending habits of their partners. For instance, your partner may be so hooked on saving money that they do not mind passing up many life experiences, from eating out to arranging a tour to a new destination. This can turn into a serious problem when one partner loves a little splurge now and then. To deal with these money arguments, you should start by creating common goals. Sit down and ask your partner to help you create a list of common goals. The list will help you determine the amount of money you should be saving each month. You can even talk about saving some money for retirement. Even putting aside 10% of your income can help you have enough money after retirement. Similarly, you can talk about keeping some money in an emergency fund that would help you survive for 3-6 months even when you have no income. Moreover, you can also decide about shorter-term saving goals. Once you have decided everything, you can make a separate account and save some money to spend on enjoying different life experiences. Taking such steps will help you learn how to deal with money arguments between couples, especially when one partner is overly concerned about saving money. 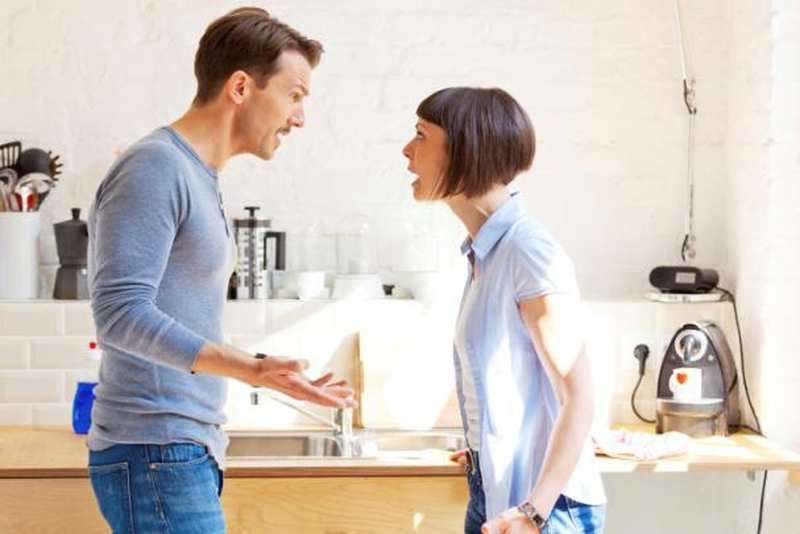 A fairly common issue that can lead to serious fights is that your partner earns more than you. That income disparity can lead to arguments, but you can take certain steps to manage things better. Even when there is a gap between what you and your partner earn, it is better not to focus on this disparity and focus more on creating a fair and balanced budget. It means that each partner should consider sharing an equal portion of income. You can even decide on paying a percentage of your income to deal with mortgage and other expenses. This way, both partners will have to pay an equal amount depending on their total income.